Love yourself, Heal your life work book. 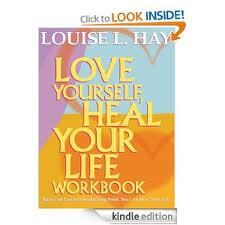 The book is exactly what it says, a workbox, it is a step by step activity of the book Love yourself heal your life. It did take two exercises for me to get the hang of it. But after attending the Love yourself,Heal your life workshop conducted by Asma D’souza, the book became absolutely workable. Of course how exactly one uses this book is up to the user. About the author. Louise.L.Hay the author of international bestselleryou can heal your life is a metaphysical lecturer and teacher with more than 50 million books sold worldwide.